Janich & Klass was founded in 1981 by Dietmar Janich and Ulrich Klass. 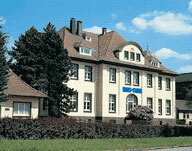 The enterprise originated at Wuppertal University. There, they decided to start their own business in the promising market of micro-computers. 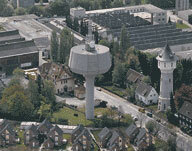 Initially, it was a small company, but due to expansion, it became necessary in 1985 to found Janich & Klass Computertechnik GmbH, a private, limited company. During the first years after its inception, the main activities were sales of standard computers. Names like Tandy TRS 80, Intertec Data Superbrain, Sorcerer, and Apple ruled the micro-computer market at the time. At the same time, the first own computer boards were developed and offered for ECB-compatible industrial computer systems. It soon became obvious that the market had a great need for such modular systems. A consequent expansion of this product range was the logical choice, and soon J&K was established as one of the major suppliers of ECB computer boards. Quality, flexibility, and service made a recipe of success. When the Intel-based PCs hit the market, the need for modular industrial PCs become obvious. The series of ISA96 components, introduced in 1990, was a success. With ISA96, a PC line was created in which the modular character was consequently kept up. Starting from the serial interface, through to the drives, everything bases on plug-in technique. Step by step, the component series was enlarged, so a wide range of standard components is available in the world of industrial computers and embedded systems. Based on these components, customer-specific components can also be offered at a low cost. In addition to the industrial computers, J&K worked early on with the archiving of data on optical storage modules. The component system JKDOK was the first step towards an archiving system. In 1987 the company presented, together with Minox, the first real PC-based Document Image System that realized a display time of 12 seconds on a full-page monitor, which was incredibly fast at that time. Only two years later it was possible to decrease this time to less than two seconds and to implement the innovative Scale-to-Gray technology. 1991, with its Document Processing Unit DPU1, J&K realized a major milestone in modern Image Processing.For the first time, the components compression, decompression, scaling, direct drive of scanner, monitor, and printer were integrated on one (single) PC-Board. The legendary DPU1 reached a display time of less than 0.3 seconds and a throughput of more than 100 images per minute. Continuous enhancements have made J&K one of the world's leading supplier of Image Capture Boards. More than once, J&K DPU Boards have been awarded "Product of the Year" status by "Imaging Magazine." The DPU16+ was, at its inception time, the undisputed world record holder in Image Processing, with 500 images per minute. Leading scanner manufacturers utilize J&K technology in their scanners, e.g. as SCSI interface. The ever-increasing capability of modern PCs made it possible to develop more software solutions in the area of Image Capture. The huge international success, primarily in the American market, required the foundation of a subsidiary company, J&K Imaging, in Atlanta, Georgia in 1995. By consequent development and innovative technologies, J&K continuously expands its top position in both ranges. Here, customer-specific developments hold a high ranking, and are a steady challenge for future solutions. Today, J&K has more than 40 employees in research, development, production, support and sales.